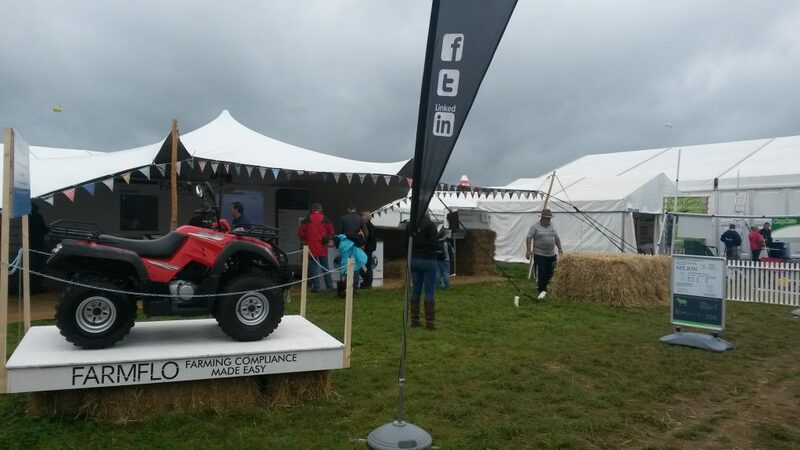 Farmflo at the National Ploughing Championships. Farmflo launched its new herd management application at this year’s National Ploughing Championships, which is designed to save farmers 20 hours a month on paperwork. Exhibiting for the first time at the Ploughing in Ratheniska, Laois, Farmflo says the new application makes it very easy for farmers to record births, movements, feed usage, field management and animal treatments on their smartphones or tablets. “This will be our first year at the Championships and it is a great platform to launch our herd management application. It gives us the perfect opportunity to get out of the office and meet with our customers in person and demonstrate Farmflo’s capabilities,” says Gareth Devenney, COO at Farmflo. The Herd Management application joins Farmflo’s growing suite of applications which are designed to make compliance paperwork easier for Irish farmers. Farmers will also be able to view detailed records and histories about their entire herd down to the individual animal through the application. Gareth said that with pressure for farmers to comply with 19 statutory management requirements, set by EU legislation, relating to public health, animal and plant health, animal welfare and the environment, having a way of recording farm activities accurately is crucial. He said that the main Cattle Movement Monitoring System (CMMS) problems in relation to movements, births and deaths of cattle are missing tags on cattle, animal passport discrepancies, and cattle herd registers not being kept up-to-date. Farmflo’s herd management application resolves this problem by giving farmers integrated monitoring for daily activities to provide production and health reporting control. It also features user-friendly displays and accurate reports that facilitate the management of farmers’ herds. Since 2005 in the region of 15-20% of farmers inspected have been penalised for non-compliance. With 70% of agricultural output in Ireland based on beef and milk, having a secure method of recording information which is required for cross compliance is key. Farmflo’s applications have been designed by famers for farmers, according to the company and almost all Farmflo’s employees are from farming backgrounds and understand the importance of compliance and the farmer’s needs. Farmflo representatives will be available at stand 309 at the Ploughing Championships.